I was having a look at my en primeur purchases, and I noticed that the Contino Rioja Reserva 935 for the Wine Society comes in wooden cases of 6, with a personalised note from the winemaker. 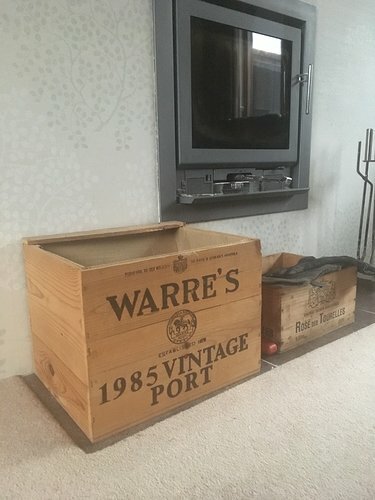 This got me thinking (as I often see images of beautiful home wine cellars with wooden wine boxes proudly on display) - I understand that the packaging is determined by the individual producer in question (and even then likely only at the top end), but is there any way of knowing from the website which wines come in wooden cases? I brought this subject up on a separate thread a while back as I, like you, think OWCs are great and very handy. The short answer is there’s no way to tell. The chances are if you order Bordeaux EP in 12 bottle cases they will come in OWC but maybe not. Some producers do 6 bottle OWCs also. TWS said that they often have a lot of spare OWCs from where one has been used to sell wine to different people, I believe they sell these at their shop for charity or something. I personally would be more encouraged to buy a wine in bulk if I knew I’d get an OWC. Thanks, Rich. I had presumed that any cases of 12 of Bordeaux bought en primeur (above a certain price point) would come in OWC, but, as you say, these are often sold as 6 bottle cases as well, so it’s hard to tell how a producer has packaged up a “whole case” in those circumstances. To the WS team - would this be something you could note in your en primeur offers in future (and more generally on the website)? I’ve bought and buy Bordeaux EP and many come in OWC and I’d rather they didn’t. OWC are a pain. They are heavy and difficult to handle. They are difficult to open, needing a blade and hammer. If you’re intending to keep the end board where the Chateau name and vintage is branded, it’s covered with TWS stickers that won’t come off. I’ve been giving away my OWCs to a woman who uses them to make furniture drawers. If you really want OWCs then it’s worth a trip to TWS Cellar Showroom where there’s usually a pile by the entrance which you are welcome to choose from for a donation into the charity collection box. Hmmm…for a six-hour round trip. Might be cheaper to buy a case of claret! Yes, I should have said ‘it might be worth’, and an OWC with claret inside is without doubt better than an empty OWC. Sorry, please excuse my cheek! I have no idea what I have in reserves or the en primeur pipeline when it comes to wooden cases. I’ve never physically owned one and I think there’s the possibility that I like the idea of them more than the reality. I might grow herbs in one box, maybe use one or two others for novelty storage, but after that they’d just pile up somewhere in the house. I know someone who makes nifty things out of wood, so he’d probably end up with them. I guess I’ll see what comes along once the drinking windows start arriving thick and fast…! I’m glad for this thread because until now I thought that I was being irrational and silly about wanting a wooden case! I too have never put my hands on one of mine (but will have some in reserves, probably). It would be crate if WS could indicate the packaging type in EP offers if they knew, although having said that you can often find out via a Google image search (might have done this). My interest in having wooden cases was for two reasons really. The first is that the romance of a wooden case adds to the feeling that you have invested in something ageworthy and special - a reminder that you have bought a liquid snapshot of a time and place. The second reason is that they seem to be sturdier and more protective for the cellar/reserves. But in the end, I have no idea which of my wines in reserves come with wooden cases, and @peterm is probably right and they’re probably a blo*dy nightmare. Ours (admittedly mostly bought for a donation at TWS) are getting some good use this winter! 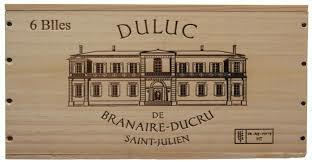 If the box was Chateau Margaux 2015, it would be worth a small fortune!! Ah, but inside every bottle is an analgesic. 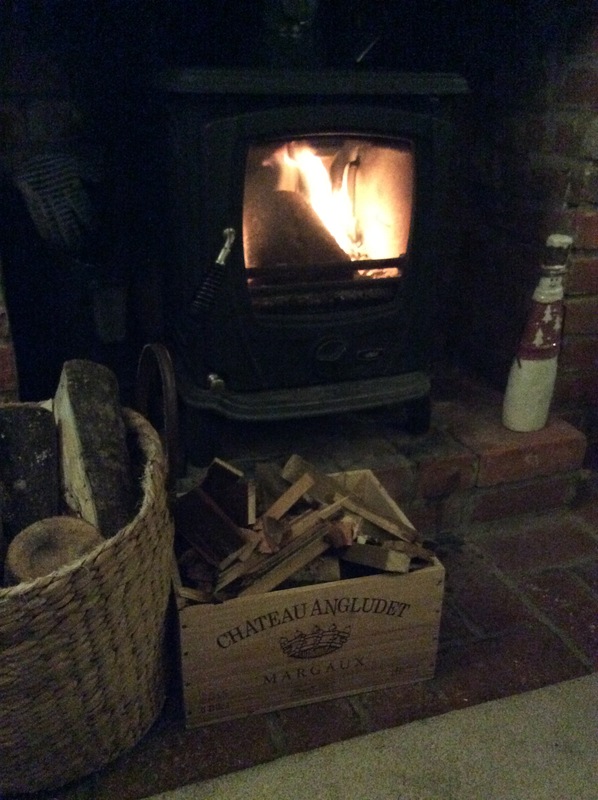 A couple make it in the house for wood and kindling…reminds me I must fill them up ready for the weekend…seems a bit like canabalism as they also make good kindling! They do have a purpose. The best storage for claret is a cool, damp cellar. Cardboard gives up in short order under these conditions, but OWCs stack reliably for years if not decades. Not that it’s just clarets that come in these things nowadays - I have white Bordeaux and wines from Burgundy, the USA and S. Africa which are also in OWCs. And I suppose there is a certain cachet attached to wines that come in them, so no doubt marketing departments have a hand in the decision to use them. But security in storage is the real origin I think. So far I have one wooden case that I got delivered, 6 bottles of a Greek wine (non TWS). Agree it was a pain to open, also when opened I could not close it properly without removing the clips, which was an even bigger pain to do… I want more nevertheless. Yes you are right, when one see’s all those lovely boxes stacked in bond units you also see a fork lift ! They do indeed stack better I can vouch for that and of course many wine regions don’t use them so all my Rieslings for instance have a limited stacking height in cardboard boxes, though to be fair all have survived many years in my cellar/s without much deterioration, it depends on how damp the cellar is. Plus I have always if possible put them in the racks and dispensed with the boxes. Now! That’s what I call re-cycling. The old wooden boxes can be used for all manner of things. A bit like your grandmother’s mahogany tea caddy with its lock and key. To stop the servants pinching it! With standard Wine Society cardboard boxes, they can only be used to store bottles and nothing else. This is fairly recent. About 10 years ago, TWS boxes were not compartmentalised.